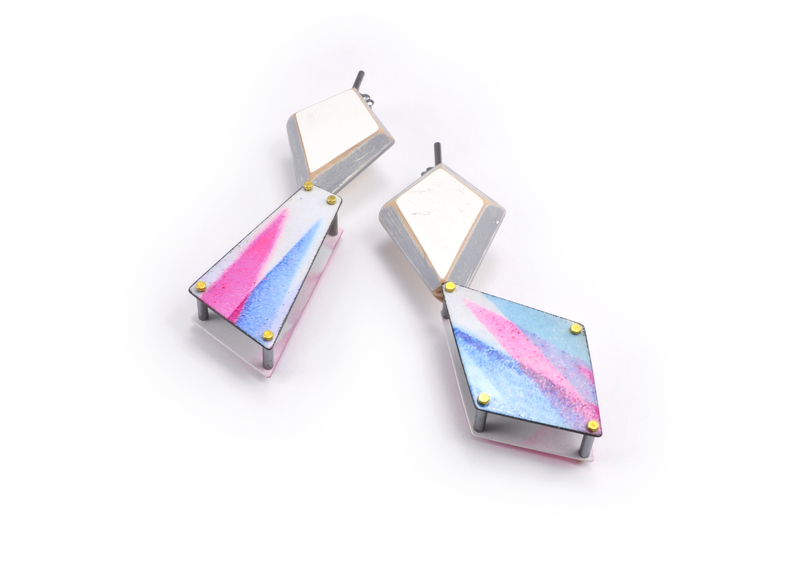 Hex Earrings II | photograph glass decal on enameled steel. sterling silver. leather. broken skateboards. spray paint. pigment. brass.